Come Say Hello at our Snack Shack! 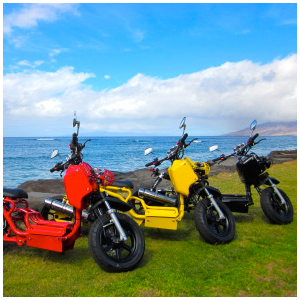 We will keep you cool with flavorful Hawaiian Shave Ice. We carry top quality flavors made with real cane sugar. Monkey Milk and Tropical Passion are our favorites! 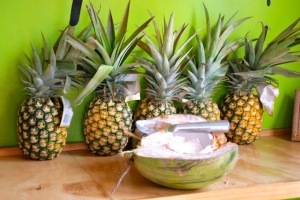 Or try a Rainbow Shave Ice~ Add ice cream for a creamy delight. 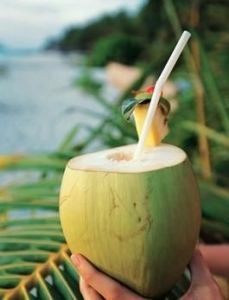 Enjoy the refreshing taste of a fresh cut coconut! Enjoy the coco water and the coco meat, cut right on the table in front of you, now that’s fresh! 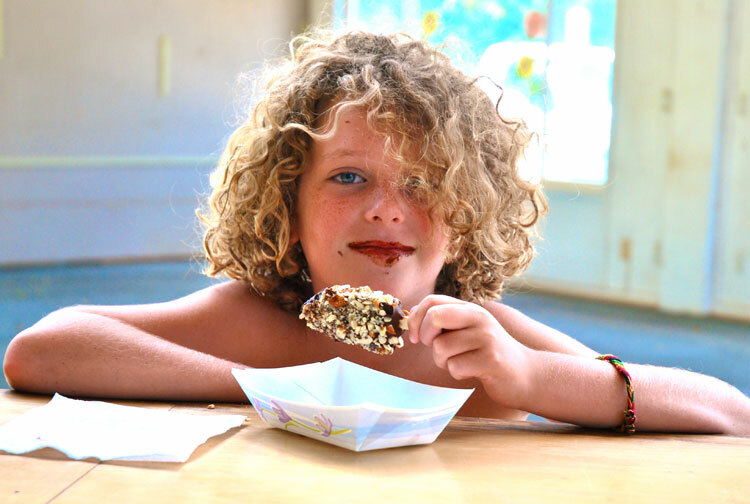 Home of the “World Famous” Maui Style Frozen Banana on a stick- Freshly made to order frozen Maui Apple Banana dipped in warm melted chocolate with a touch of coconut oil, and then rolled in chopped Maui Macadamia Nuts and Almonds. Only one word to describe this, Yum! Enjoy the taste of the tropics with a fruit smoothie. Pineapple, papaya, mango, strawbery delight! 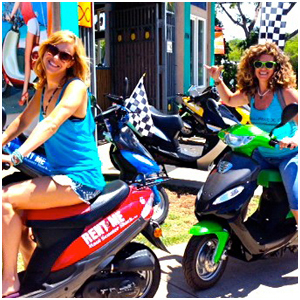 Nourish your body after a hot day in the Maui sun. Fresh Pineapple Coladas are a real treat! Pina Colada served in a fresh cut pineapple and topped off with tropical umbrella. 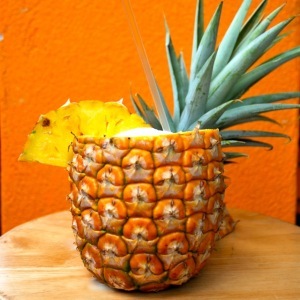 The perfect tropical drink experience. 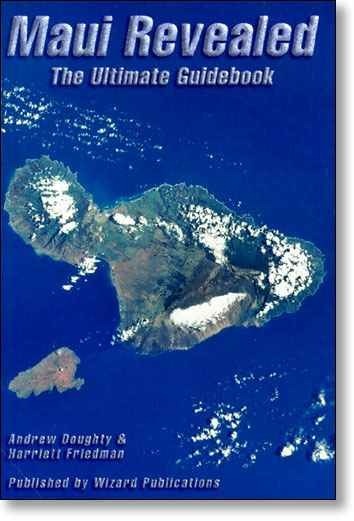 We have a selection of books on Maui, Maui Handbook, Maui Guidebook and hiking books for you to enjoy while you visit Maui Scooter Shack. 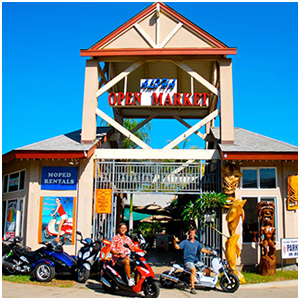 We also have a small gift shop with eye wear, maps, sunscreen and more. Mail a Hand Painted Coconut back to your friends and family. 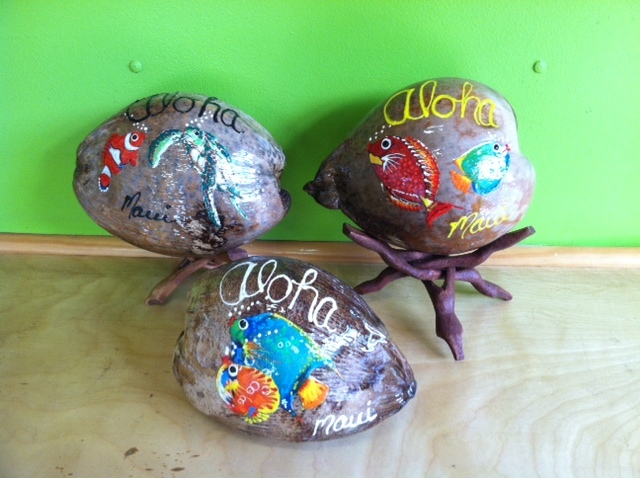 Each coconut is carefully chosen, dried, and hand painted by local artists. Happy Birthday, Just Maui’d, Tropical Aloha and more.